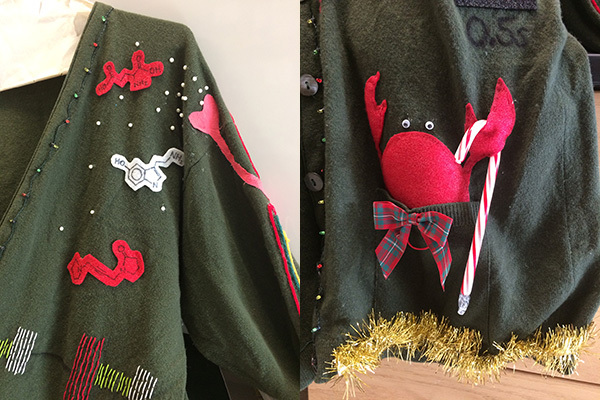 A new feature was added to the 2018 Life Sciences Holiday Party – the Ugly Sweater Contest! Lab’s were encouraged to purchase, design, and bedazzle a sweater for their PIs to wear and show off at the party. Ballots for best sweater were cast at the event with the Marder lab submitting the winner. 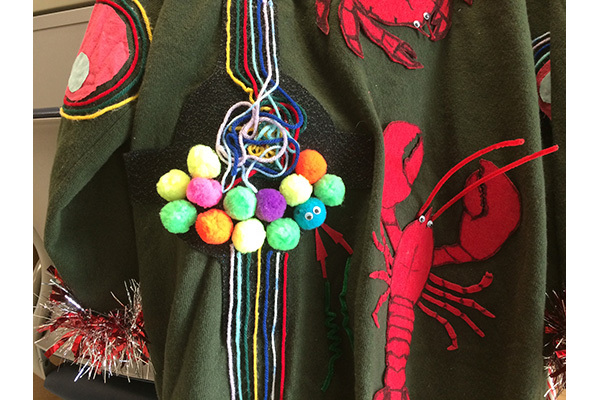 Eve’s sweater was decked out with crabs, lobsters, STG’s and neurons. Congratulations! Students often tell me that they don’t want to be scientists because it is too lonely. That always surprises me, because laboratories are filled with people. 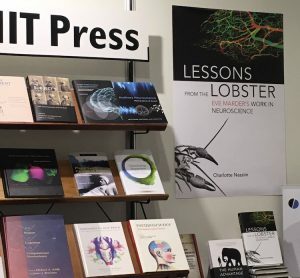 One of the conclusions that readers of Charlotte Nassim’s “Lessons from the Lobster” should take from the book is that laboratories are communities of scholars of all ages. Lifelong friendships are often formed and sustained as laboratory colleagues may spend as much time together as they do with other friends and family. When Charlotte approached me about writing the story of my research, I was very surprised because there are many eminent neuroscientists, including many other eminent female neuroscientists. What convinced me to work with Charlotte was her wish to reach teenage girls, before they decided that a career in science was not for them. And this decision was validated when a few days ago, one of the students (now working in a neighboring lab) whom I had taught in NBio 140, Principles of Neuroscience, told me that she loved the book, but wished she had had it when she was in high school. We agreed that after she finished the book, that she would donate it to her small home town library, in the hopes that it would encourage other high school students to consider becoming scientists. Charlotte’s book is a piece of science history. She read our lab notebooks, and talked to many ex-lab members. Her choices of what to emphasize and how to frame the scientific issues speak as much about what she finds scientifically and sociologically interesting as it does about what I was thinking. By reading deeply, she relied not only on my flawed memory, but on what I and others had written. For me, it is an extraordinary reminder that even scientists who revere data have only partial recollections of their own intellectual paths. Professor Eve Marder’s office door is unmistakable. 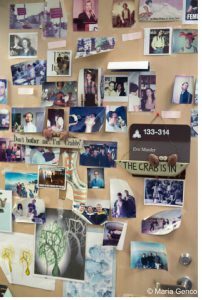 Tucked between the certificates, accolades, official photos, and award plaques that plaster her lab’s walls, her office door is decorated with a collage of fading photos of students and yellowing cartoons of lobsters and crabs. 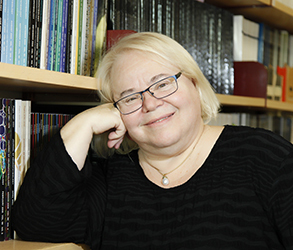 Inside the office, the shelves are crammed with neuroscience books and stacks of primary and review articles published by her lab throughout her career. But among all of the awards and publications there’s something else that draws your eye. Hanging just above her computer is a homemade mobile built by a former student. 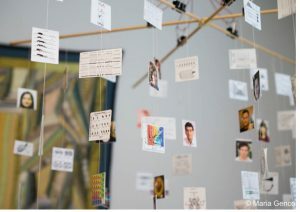 Dangling from the mobile are photos of lab members and important scientific figures, faces and images gently pirouetting and circling around one another just above Marder’s head. Now Marder has another award to add to her vast collection. In June 2016, she was announced as a winner of the Kavli Prize in Neuroscience. Marder shares the Prize with Carla Shatz, of Stanford University, and Michael Merzenich, of the University of California, San F rancisco. The award was given to these scientists “for the discovery of mechanisms that allow experience and neural activity to remodel brain function.” The Prize includes a gold medal ceremony and a one-million-dollar award (to be split among the winners), which will be conferred by His Majesty King Harald V of Norway in Oslo in September 2016. First awarded in 2008, the Kavli Prize was established to recognize scientific achievement and to honor creative scientists in the fields of Neuroscience, Astrophysics, and Nanoscience. 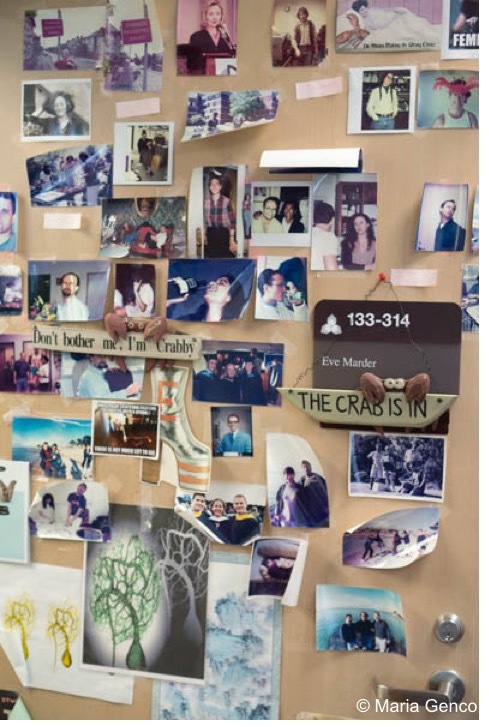 The illustrations of lobsters and crabs on Marder’s office door pay homage to the creatures that her lab has used as research subjects to shed light on the fundamental rules that govern how nervous systems function. Her life’s work has been studying a group of neurons called the stomatogastric ganglion (STG). These neurons control rhythmic chewing and filtering of food through the stomachs of crustaceans like crabs and lobsters. The STG is a relatively small (~30 neurons) circuit of cells. It can be dissected out from the animal and placed in a dish, where it can continue to function for up to weeks at a time. In the dish, the neurons will continue to produce electrical rhythms as if the stomach were still chewing and filtering. 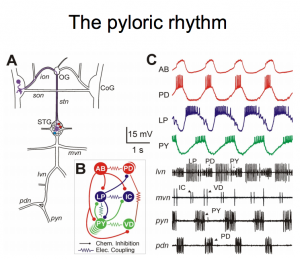 These electrical rhythms can be studied using a technique called electrophysiology where changes in cell voltage are measured and recorded. The STG contains well-studied central pattern generators (CPGs), circuits that produce rhythmic patterns without sensory feedback. In fact, insight gained from studying the general principles involved in STG activity has given neuroscientists a better understanding of CPGs involved in human behaviors including walking, sleeping, and breathing. Neuroscientists used to think that the brain was wired like an electronic circuit board. In other words, neurons were wired together via simple connections that could only be “on” or “off.” When all the connections were turned on, the circuit produced a single behavior. Understanding the brain was thought to be as simple as determining how each neuron was physically connected to all others. While working as a graduate student at the University of California San Diego, Marder made a discovery that questioned this dogma. She found that neurons in the STG release acetylcholine in addition to the already known neurotransmitter, glutamate. This result, published in 1974, suggested that neuronal connections could be turned on in more than one way. Her discovery was instrumental in shifting how neuroscientists think about nervous systems. It could no longer be assumed that a simple connection diagram was sufficient. Further work uncovered many different neuromodulators (neurotransmitters and peptides hormones) that could modulate or alter the neurons’ rhythms of the STG. 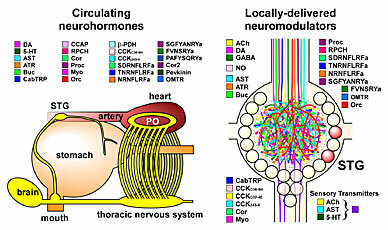 Dr. Marder found that release of these neuromodulators could shift the activity of the neural circuit without changing any physical connections. This shift can happen very quickly and be long lasting. In addition, neuromodulation can also induce certain neurons to synchronize with different circuits switching their activity to coordinate with one circuit (like the ‘chewing’ circuit) and then to another (like the ‘filtering’ circuit). Both of these findings opened new questions for the entire field of neuroscience. A neural circuit with the same physical connections could have many different output activities so that even simple neural circuits could accomplish a surprising variety of tasks. Partial Summary of Neuromodulation of the STG, see Marder (2012) Neuron 76:1–11. Much of the Marder lab’s work in recent years has grown from this initial work in neuromodulation. With so much flexibility of activity, it became important to explore how these systems are able to maintain stability. Although a neuron can live over 100 years, the components of that neuron, including proteins that make up ion channels, constantly change on a timescale of seconds to weeks. Marder worked in collaboration with Larry Abbott and his lab to study how neurons maintain appropriate activity despite such rapid turnover. This work resulted in theoretical models suggesting that neurons have an intrinsic “set-point.” An individual neuron mediates changes in ion channels to produce a specific desirable activity output. This work informed our understanding of how neurons and nervous systems are able to be both plastic, but also to remain functional in a constantly changing environment. It has given rise to work investigating how synapses are able to respond to changing activity or “synaptic scaling” and research into how neurons determine their “set-point” at a molecular level. 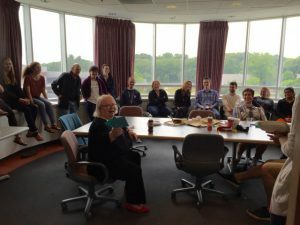 Many of the numerous primary and review papers stacked in Marder’s office have been co-authored by some of her almost 80 graduate students and post-docs. These papers have been the work of both experimentalists, who gather data from real neurons, and theorists, who use computers to make hypothetical models of neurons. The collaborative working environment lends strength to the work completed in the Marder lab and forces students and post-docs to explain their work to peers with very different skill sets. It also gives lab members an opportunity to use both theory and experiments to cooperatively build stronger models and to design better experiments. As one example of this, Marder and Abbott together developed the dynamic clamp tool. 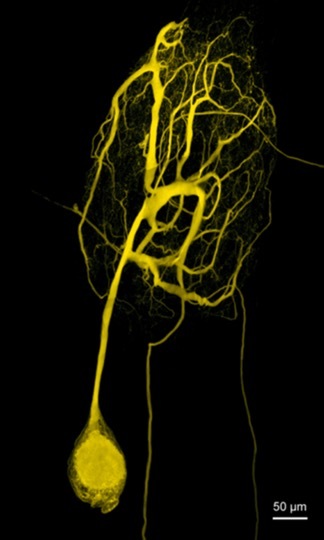 Using this tool, real biological neurons are connected to model neurons generated within computer programs. This system, now used by scientists all over the world, makes well-controlled manipulations while still probing a dynamically complex biological system. Wandering through the Marder lab on any given day, it is always buzzing with students and postdocs at computers, doing dissections, or popping into Marder’s office for a quick chat and some chocolate. Currently, the Marder lab is investigating variability in neural circuits. Scientists often view variability as a result of experimental error and attempt to minimize it through averaging over multiple trials. Marder’s approach has revealed that variability is a natural part of how neurons and circuits are constructed and can reveal very important information about how these systems work. Both experimental and theoretical work from the Marder lab has shown that neurons with widely varying characteristics can exhibit nearly identical activity patterns. Thus rather than finding the average properties of a neuron, it is crucial to understand how functionality is maintained in the presence of this variability. One way the Marder lab currently studies this variability is using temperature change, a physiologically relevant stimulus for crabs who live in varying depths of water throughout the year. Understanding more about how different neuromodulators affect the activity rhythm continues to be an ongoing project since approximately 50 neuromodulators have been discovered in the STG. Other lab members are interested in observing variability in the morphology of different cell types. STG neurons visually have a cell body with a single axon that branches many times so that the cells look less like a traditional ‘neuron’ image but rather a cell body connected to something that looks like a tangled ball of hair. Other work in the lab is interested in investigating where different ion channels are located on this highly branched and complex structure. 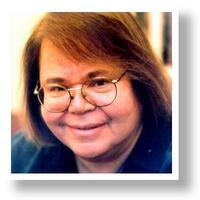 To those scientists who have met Dr. Marder she is a source of inspiration and advice. She clearly enjoys engaging with younger scientists especially graduate students and postdocs and many of them have experienced her mentorship throughout their careers. Barbara Beltz of Wellesley College wrote of Marder “It has been clear to me for a long time that although I had PhD and postdoctoral advisors who were supportive and kind, it was Eve who was the most influential mentor in my career.” Marder provides supportive encouragement always paired with frank honesty sometimes in the form of tough love. Ted Brookings, a former Marder lab post-doc says that Marder takes mentorship very seriously and her greatest pride as an advisor is not in selecting the most brilliant people but instead seeing the evidence of how much they have grown during their time in the lab. 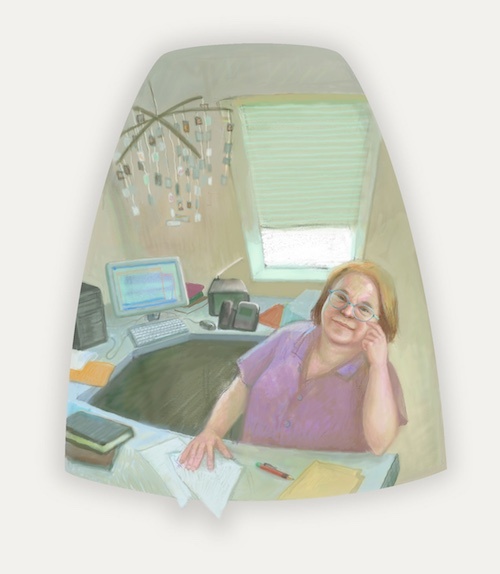 Many female scientists in particular see her as a trail-blazer and those who have been to her office find the life-sized cutout of Xena Warrior Princess to be appropriate decor. 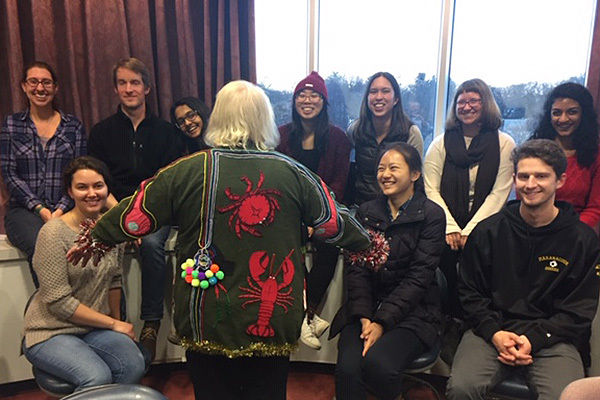 Working at her undergraduate alma mater, Brandeis University since 1978, Marder helped to build one of the first undergraduate neuroscience programs in the country and a highly regarded neuroscience PhD program. 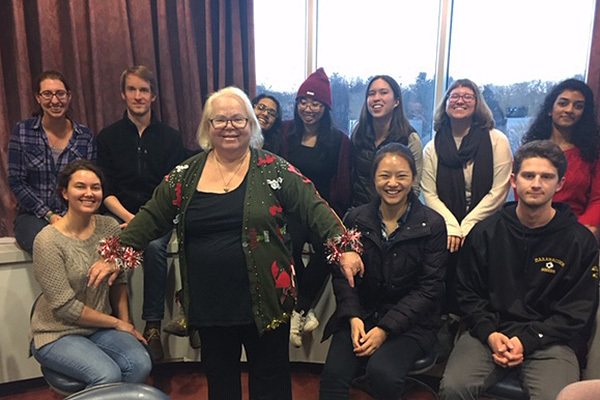 Even as a senior professor, Marder often teaches the Principles of Neuroscience course taken by upper-level undergraduates and required for incoming graduate students. She is unique among the faculty for teaching the course using the blackboard rather than Powerpoint and begins each year with a new bucket of large colorful sidewalk chalk. According to a former Marder lab graduate student, Marder’s teaching permeates everything she does, whether she’s in front of the classroom, having a personal sit down in her office or giving a grand seminar. Celebration party after Kavli Prize 2016 announcement. Photo by Steven Karel. Marder received hundreds of congratulatory emails from colleagues and former students and post-docs after the announcement of the Kavli Prize. The extensive body of research from Marder and her students, using the STG, has revealed fundamental properties that apply to all nervous systems. One of her colleagues at Brandeis University, Leslie Griffith has written “Her work has provided a platform for much of our current cellular understanding of circuit function and stability and the mechanisms by which circuits negotiate the flexibility/stability trade-off.” The homemade mobile rotating above her head in her office appears to capture the essence of how Marder views her work and her lab – old and new people constantly in motion orbiting groundbreaking discoveries in neuroscience. Maria Genco is a PhD candidate in the Neuroscience Program working in the Griffith Lab at Brandeis University. 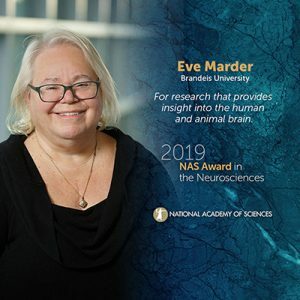 Eve Marder, PhD, from Brandeis University and Richard Olivo, PhD, from Smith College will receive the Award for Education in Neuroscience from the Society for Neuroscience (SfN). The award will be presented at Neuroscience 2014, SfN’s annual meeting to be held on November 15-19 in Washington, DC. The $5,000 prize will be split between Drs. Marder and Olivo. It recognizes people who have made outstanding contributions to neuroscience education and training. Dr. Marder played a critical role in the establishment of one of the first undergraduate neuroscience training programs at Brandeis almost 25 years ago. Since then, she has continued to provide advice and support at all academic levels. 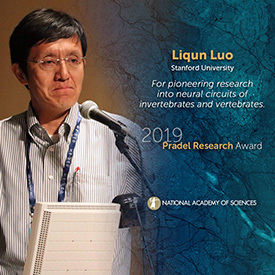 Read the SfN press release to learn more about this prestigious award.